Angelo's Pizza & Sub has been serving freshly prepared pizza from our Current River location since 2008. In addition to homestyle pizza, we’re known around Thunder Bay for our made-to-order subs on homemade bread that are always individually created, ready in no time and deliciously affordable. 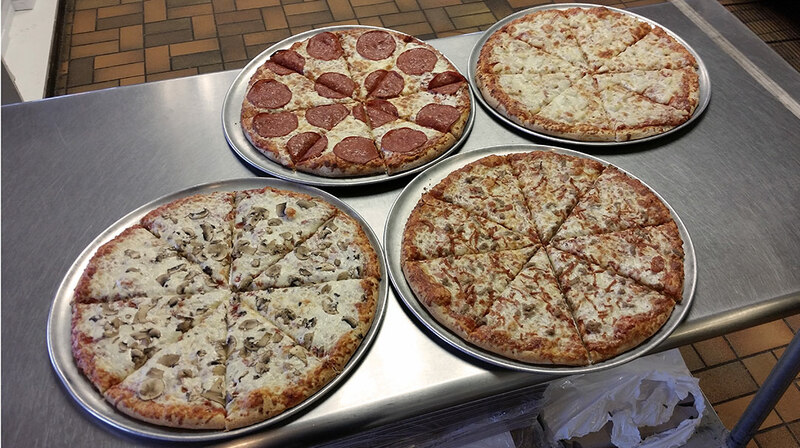 We offer unlimited toppings on our signature thin crust, made from a mixture of white and whole wheat flour. 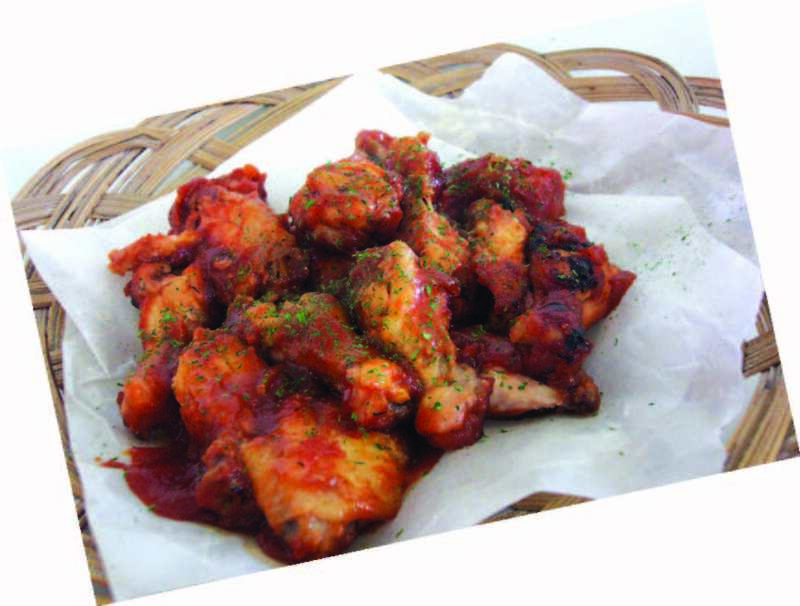 We make our pizza sauce with a special blend of 8 herbs and spices. 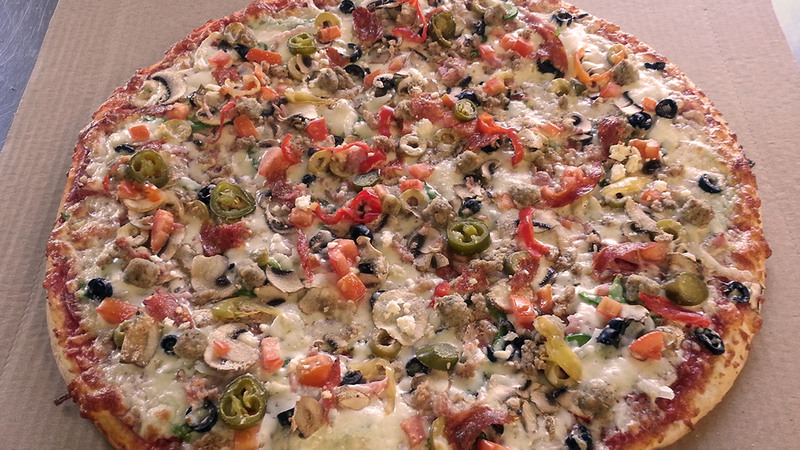 Then we top it off with your choice of 18 fresh toppings and a fine quality blend of mozzarella cheese. Meats: Pepperoni, ham, bacon, ground beef, sausage, and hot calabrese. Vegetables and Fruit: Fresh garlic, onion, tomatoes, mushrooms, pineapple, green olives, black olives, green peppers, jalapeno peppers, and banana peppers. Cheeses: Mozzarella, Feta, and Parmesan. Meats: Turkey, chicken, ham, and salami. Cheeses: mozzarella and cheddar cheese. We’re conveniently located in the heart of Thunder Bay near the corner of Hodder Avenue and Arundel Street and provide delivery, from Shuniah Township to McKenzie Station Road. Monday - Saturday: 10 am. to 11 pm. Sunday: 11 am. to 11 pm. © 2018 Angelo's Pizza and Sub. All Rights Reserved. Design by Multee Media Corp.